Last night, I was humbled to be named a Paul Harris Fellow by the Rotary Clubs of Fort McMurray during their 2015 Integrity Awards. It was an honour to share the stage with John and Gail Foy, who have done life-changing, life-saving work with Kids Forever, raising millions of dollars over the years to help kids and families. 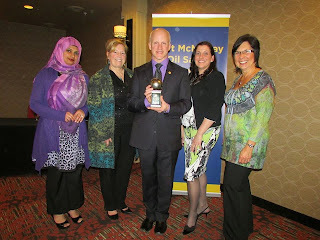 Sherry Duncan, a good friend from Keyano College, asked if I could post my acceptance speech here on this blog. That would be easy to do if I had actually written anything down, a bit more difficult to do when I spoke off the cuff. But, I'll try to remember what I said. "It's a little strange to be up here tonight....after what happened last night. As a recovered politician who had lost an election, my gut was twisting for Don and Mike, and many good people throughout the province, people with great integrity. I was hurting for them, but at the same time, optimistic for the future of our province." "I am so glad that Mayor Blake is with us tonight. She has been a great role model, mentor and friend. I learned so much from her about integrity during my three years on council." "I am here tonight on the shoulders of many great leaders and role models including Melissa, Don, Mike and so many others." 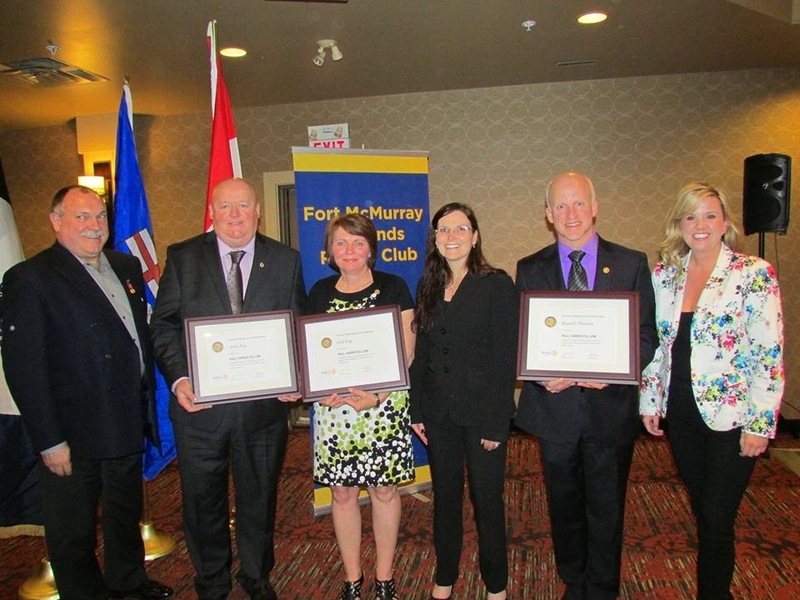 "Congratulations to John and Gail Foy. 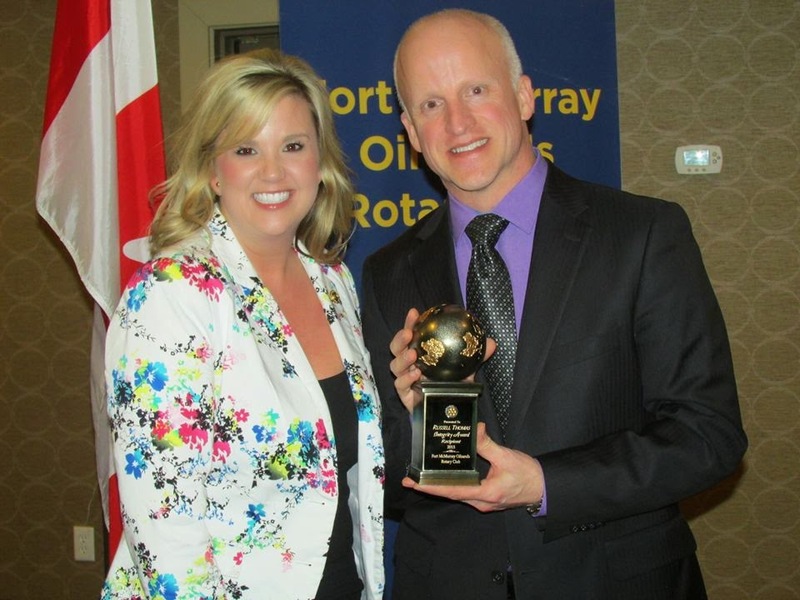 They have created miracles for hundreds of young children and has given so much to this community." 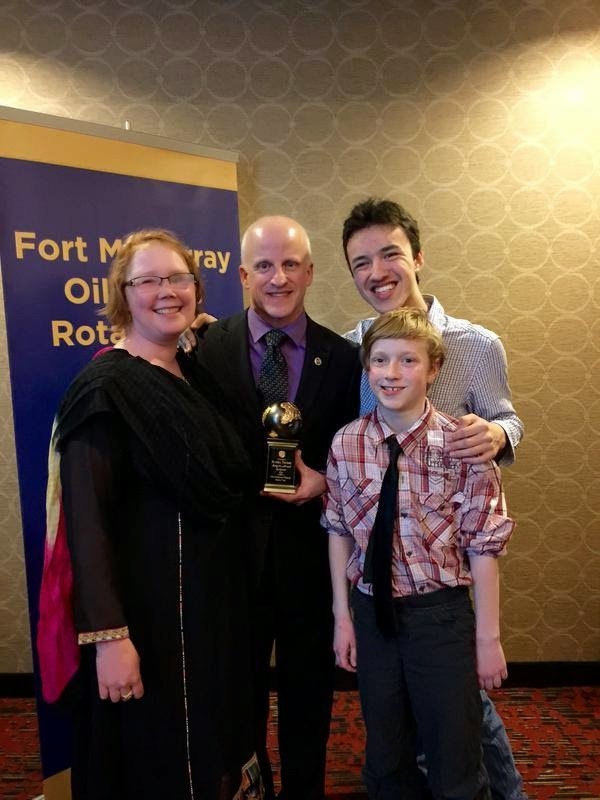 "I'm grateful to be joined by family tonight: Heather, Dylan and Ben. I'm grateful to also be joined by my United Way family." "Kiran asked me what integrity means to me. It's a tough question. For me, it's connected to trying and failing, failing and learning, learning and growing, then trying something else. I often say that the seeds of my success are sown in soil rich with failure." "I want to say a few words about my painting. 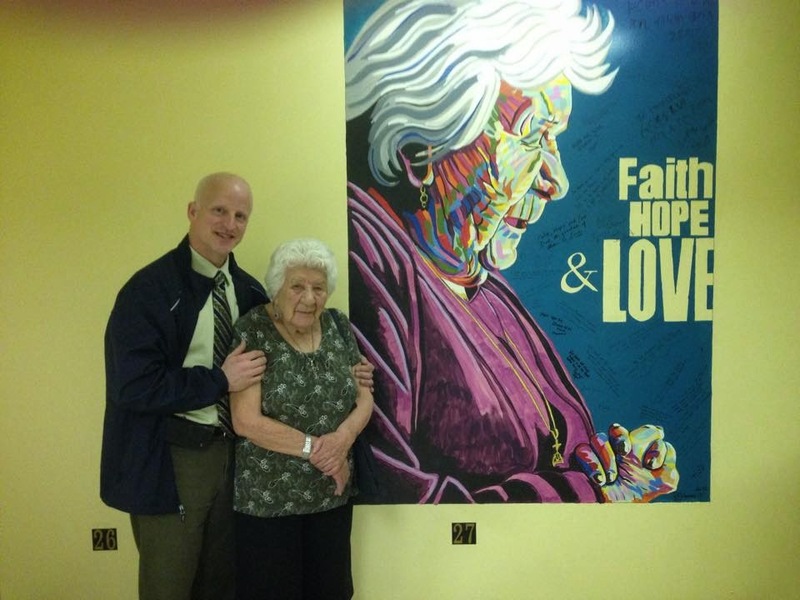 It all began just a few days after I had started working at the United Way when I painted the mural of Elsie Yanik. I was able to be with Elsie earlier this morning at the Salvation Army. Talk about integrity. At 97 years of age, this amazing lady if more alive and vibrant than many people half her age. She imbues integrity from top to bottom." "Elsie inspired me to paint and keep painting." I don't recall exactly what I said at this point, but I'm pretty sure I talked about a couple of the more meaningful paintings that I had done, including the ones of Memphis and Luke, Mike Paskal and Baby Keyleigh. "These paintings were all influenced by the integrity of Elsie and a whole lot of love." "Thank you so much for this incredible honour." I'm sure I've mixed up the things I said with the things I wished I had said; there was a lot going through my mind and heart in the moment. 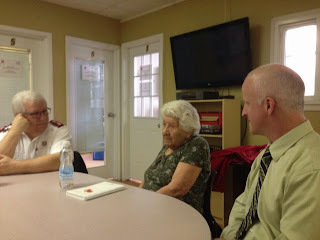 On a day that started with joyful and appreciative tears as I sat with Elsie Yanik visiting with the staff at the Salvation Army Community Services Centre, I once again found myself incredibly moved. I was a moment short of a tear as I looked over at Heather, Dylan and Ben standing up at the front talking about integrity. The award is beautiful, the framed Paul Harris Fellow certificate is appreciated, but the coin is extra special. It will remain in my wallet and provide invaluable guidance when I need it most.